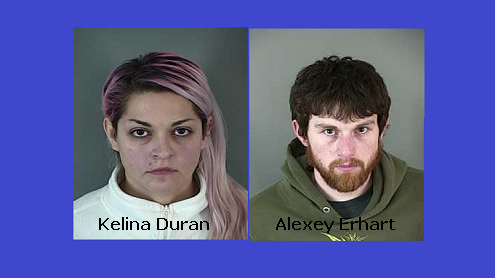 On Tuesday March 3, 2015, members of Lane County Inter-agency Narcotics Enforcement Team (INET) executed a state search warrant at the 6400 block of Thurston Rd, Springfield, Oregon. Investigators seized three firearms along with evidence of the unlawful manufacturing and delivery of heroin and marijuana, and unlawful possession of heroin, methamphetamine, and marijuana. Investigators found the garage area of the residence had been modified structurally to conceal growing marijuana plants and the residence’s electrical systems had been modified. The City of Springfield Building Codes Department was consulted and determined the modifications to the electrical system were unsafe and requested the Springfield Utility Board to respond to the location and cut power to the building. 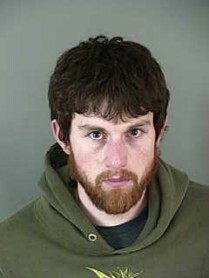 Alexey Nicholas Erhart, a 27 year old male, was lodged in the Lane County Jail on Unlawful Possession, Delivery and Manufacturing of Heroin within 1000’of a school, Unlawful Possession, Delivery, and Manufacturing of Marijuana within 1000’ of a school, Unlawful Possession of Methamphetamine, Child Neglect I, and Endangering the Welfare of a Child. 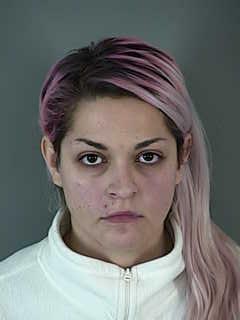 Kelina Justine Duran, a 28 year old female, was taken into custody and lodged on an outstanding Deschutes County arrest warrant. Additional charges may be forthcoming as the investigation is continuing. The Lane County Interagency Narcotics Enforcement Team (INET) is comprised of personnel from the Oregon State Police, Lane County Sheriff’s Office, Lane County Parole and Probation Department, Eugene Police Department, Springfield Police Department, Federal Bureau of Investigation and the Lane County District Attorney’s Office. Anyone with information regarding illegal drug activity is encouraged to call the INET tip line at (541) 682-6266. Born and raised in Lane County. Graduate of Elmira High School and Lane Community College. Owner/Publisher at Lane County Mugshots. Single father with two adorable kids at home. Currently living in Eugene. Hobbies include auto restoration and fishing. Passionate about local politics, crime, and social media. Police Blotter: EPD In Spring!